The c3 GM ecms like the 1227747 we use have an older 2732 eprom. These are eraseable programmable read only memory chips that have to be erased with a uv light like a germicide light. Almost 100% of eproms has its code starting by the manufacturer code, then 27xxxx. All (non otp) eproms have a crystal window on top, it could be round, square or rectangular, but in all eproms you should be able to actually see the interior of the chip. All eprom's body is made in ceramic or hard epoxy, crystal window eproms are not made in plastic as the other chips. Otp eproms are exactly the same inside, the only difference is that they are built into a plastic (epoxy) body and does not have the crystal window. The ceramic body is necessary to hold the crystal window. Without the erasing possibility, otp devices are not recommended for home hobby programming. Some eproms crystal window can be covered by a light protective paper sticker. The crystal window is necessary to erase the eprom, upon exposing the chip to a strong uv (ultra-violet) light. 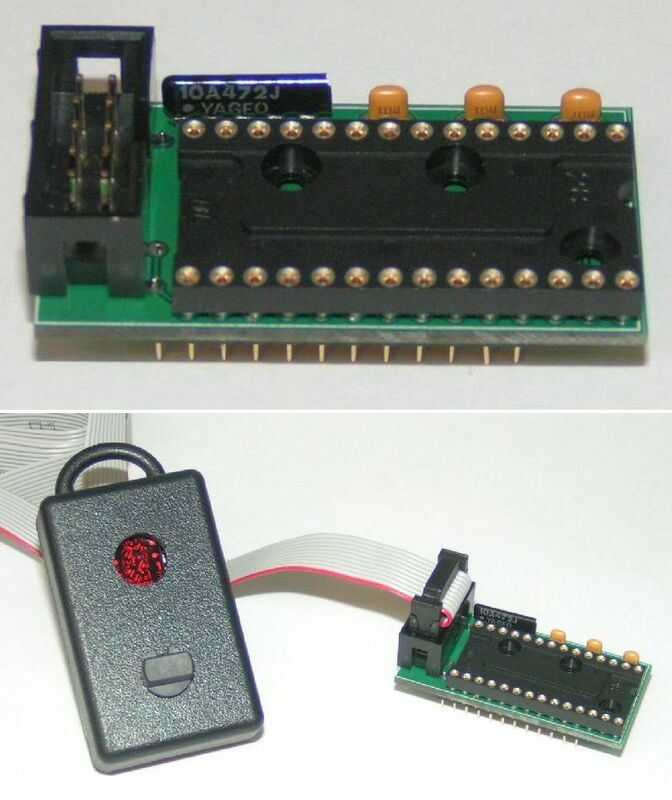 There are special devices for this purpose, called eprom eraser - they can be found for sale in several electronic stores, cost from $40 to $200. An eprom can only be erased upon exposure to uv, no other way. Programming an eprom with any eprom programmer will only change bits from "1" to "0", while erasing under uv will return all bits to "1". 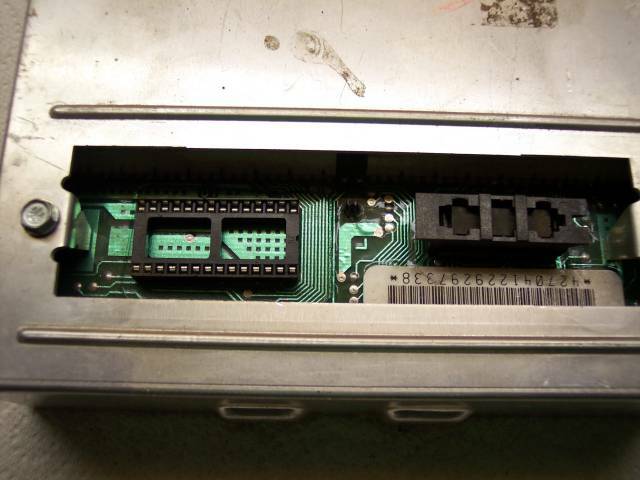 Keep in mind that when purchasing an eprom programmer, or planning to deal with eproms, it is 100% necessary to purchase an eprom eraser, since you will need one very soon, to clean up old programmed eproms or to correct mistakes and programming errors. 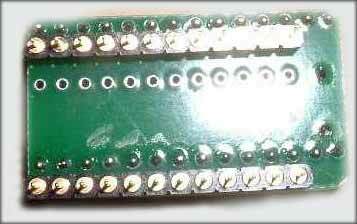 After a certain erase/write count, the eprom will fail to erase or fail to program. This count depends on several factors, as excessive time exposure to uv light, harsh operation conditions, etc. 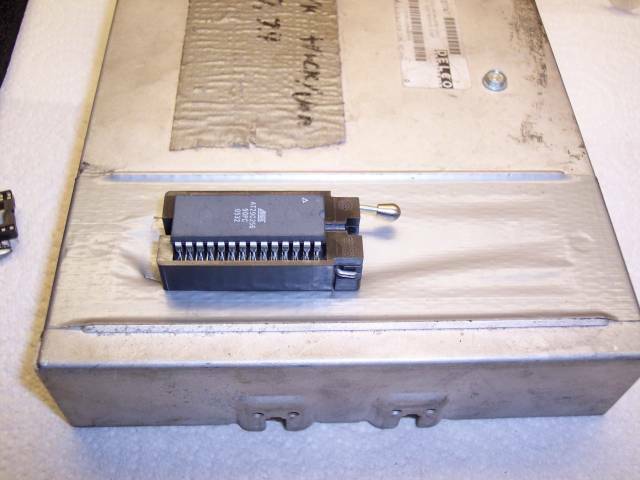 As experience, an eprom can be erased or reprogrammed hundreds or thousands of times without any problem, but we also noticed some eproms that failed right after the first erasure, some others that fail right out of the factory package. 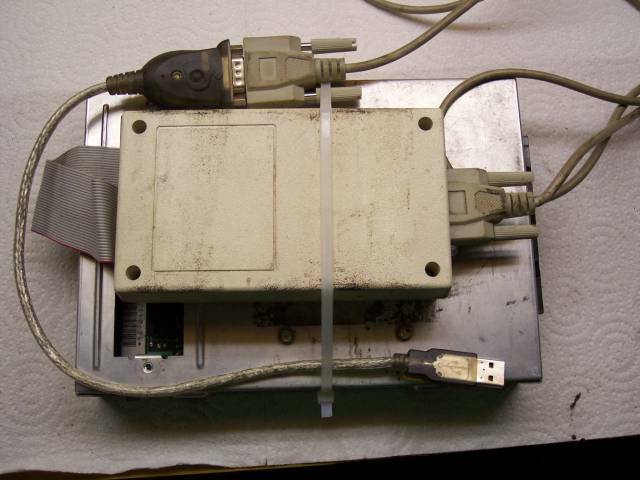 Originally I used a ustr.net epromer that worked fine but required a computer with a parallel port to operate. Well as computers die so do parallel ports. I also used a simple single bulb eraser. So if you want to continue to use the 2732 you will need to find a programmer that can operate from a usb port but still be able to program at 25vpp. There are a number of them on ebay. Most are refered to as willem style programmers. Not all are capable of programming 2732 and 2732a chips. Since the 2732 is becoming extinct a better solution is to upgrade to an eeprom or flash chip that is electronically eraseable. for a second option for diy programming that I think is better if you are just starting out, is to go to welcome to www.moates.net! 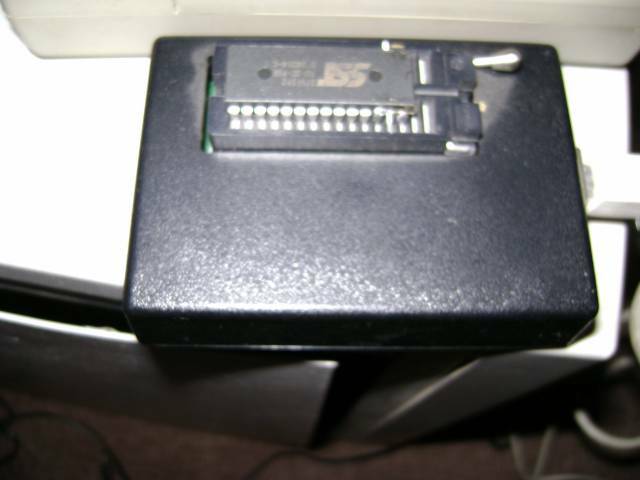 : moates.net And get the socket adapter for the eeprom and the burn one. Then you can reprogram your chips without the need of an eraser. Plus you only need the one chip!! Here's the parts I ordered. Product description: allows use of new flash chips in many GM TBI setups. 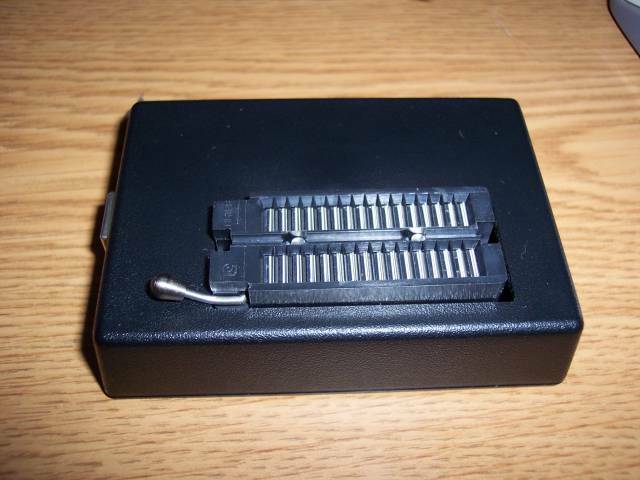 If the original application accepted a 24-pin chip such as a 2732a, then this adapter will allow you to upgrade to new flash chips such as the at29c256 and 27sf512. Soldering required (see product web page). This is the unit which will work if your original application had the chip holder with leg spacing of 0.6". Just check before ordering, you'll need to take the ECM apart to find out. Comes with everything you need to replace your stock chip holder with a standardized 28-pin chip socket that is compatible with the newer flash chips. Installation service available for $25 if you're not comfortable soldering. Product description: this is the most popular chip. Replaces 27c128 and 27c256. Works great in many applications such as honda, GM tpi / 93 lt1 / etc. These are 90ns 28-pin chips, direct replacement for 27c256 chips, can be flash-reprogrammed many times without uv eraser. 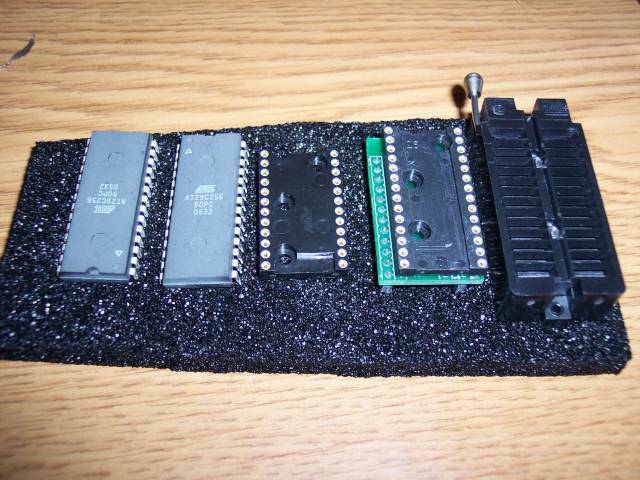 Can be used in place of 27c128s and 2732as (with g2 adapter) as well, just program them with an offset (start of device = 4000 hex for 27c128 original, 7000 hex for 2732a original). Product description: very durable 28-pin zif socket. With this socket installed, you'll be able to switch chips in and out of your g1 adapter or other application very quickly and easily! Heavy-duty construction, very good contact with pins. Great for emulation interfacing! For use with 29c256/27c128/27c256/27sf512/27c512 type systems. Package gp1 comes with this socket already. Goes well with a g2 adapter as well. This socket will not clearance some of the honda ecus, so we recommend the low profile s4 for those applications. Product description: usb chip programmer works with the at29c256, 27sf512, and am29f040 chips. Self-powered from the usb port, so no power adapter is needed! Burner can also be used to read stock GM memcals using the hdr1 adapter. While it will only program the three types of chips listed, please note that those three chips can be used as drop-in replacements for most efi applications. Comes with stand-alone chip programming software (available for download). Also compatible with tunerpro rt. Will read most stock-style chips (2732a, 27c128/256/512/etc). for a third option you can simply replace the 2732 chip with a modified 27sf512 chip. Then you simply use the moates burn one to program it. Moates has had an adapter out for a while. Depending on the chip size you could have up to 6 different bin files iirc. For a dedicated tuning ECM ...it's great!! this allows the GM TBI users who use 2732a 24-pin chips as their stock application to use a 29c256 or 27sf512 chip to hold multiple programs! Must be used in combination with the ex remote switch available separately. I also run a romulator. This allows real time programming as you drive. Then when done you just download the bin and program it to a chip. Here is my other modified ECM with a standard 28 pin socket intalled. 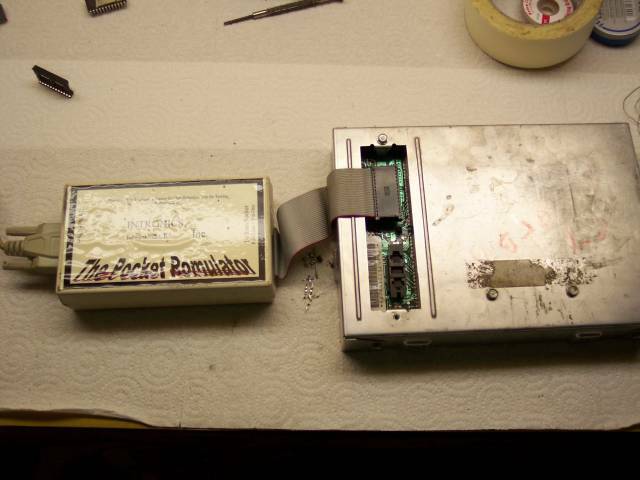 This allows you to just r&r the chip with out the holder, or install a zif socket, or plug in a romulator for real time programming! Moates also sells an all in one unit and it's own emulator. Last edited by Bill USN-1; 05-19-2010 at 09:17 PM..